Reza Che Daniels is Associate Professor of Economics at the University of Cape Town. Before working in academia he ran his own consulting company and has worked with trade unions, the public sector, the private sector and with civil society more generally. He continues to be involved in activities and initiatives that span across a wide range of sectors, institutions and stakeholder groups. Reza has held & currently holds numerous advisory and consulting positions, including to various government departments in South Africa, to the Asian Development Bank and World Bank. He has also founded and/or run private companies in the non-profit sector, the manufacturing and consulting services sectors, and acted in both non-executive and executive capacities on various company boards. 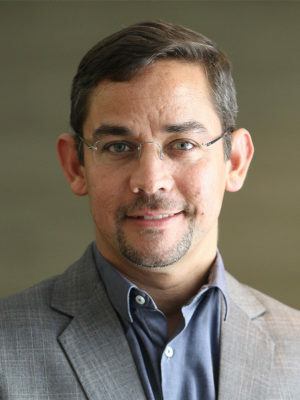 Reza has degrees from the University of Auckland, the University of Michigan and obtained his Ph.D. in Economics from the University of Cape Town. In 2013, he placed second in the Cochran Hansen competition for best paper by a young (under 40 years) statistician from a developing or transition country, and in 2014 he was the recipient of a Young African Scholar award from the International Economic Association. He is a Fellow of the ninth class of the African Leadership Initiative and a member of the Aspen Global Leadership Network.